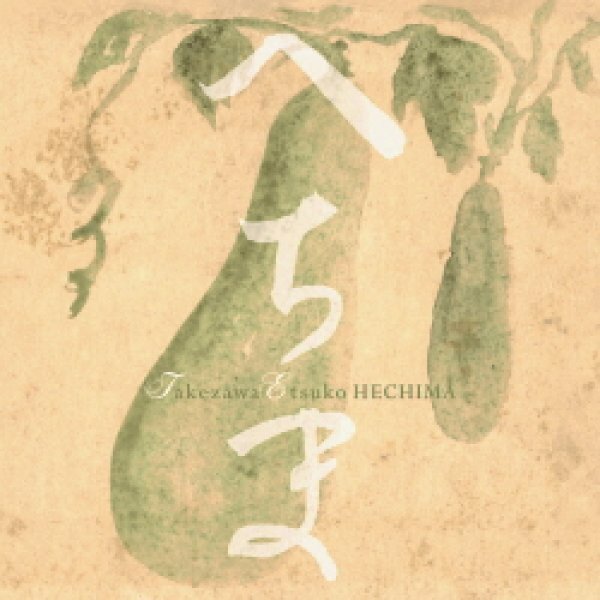 "Hechima" is the first solo album from koto and jiuta performer Takezawa Etsuko, released after a prolific career collaborating with various other artists. 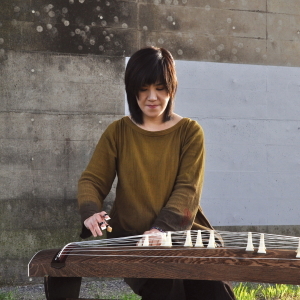 Starting with the organ at aged five, she learned a variety of instruments, such as folk guitar, saxophone, koto, shamisen (both Japanese stringed instruments) and kokyu (Chinese fiddle). 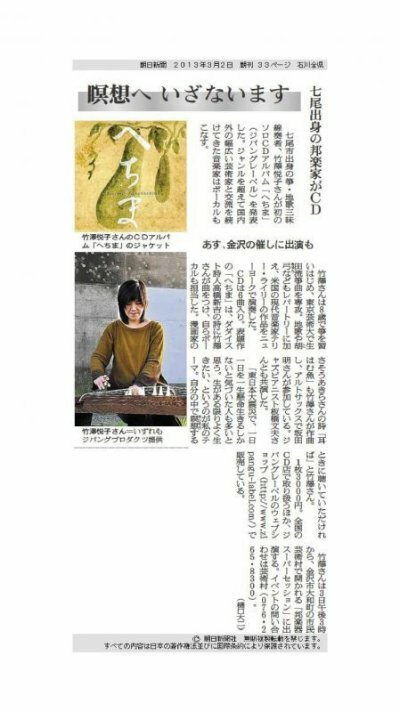 At Tokyo National University of Fine Arts and Music she majored in Ikuta-ryu (school) koto. Following graduation she studied jiuta (singing with shamisen) under the master Nakai Takeshi. She has played with distinguished musicians in a variety of locations around the world – the performance of Terry Riley's 'In C' with the Kronos Quartet at Carnegie Hall, New York is just one such example. 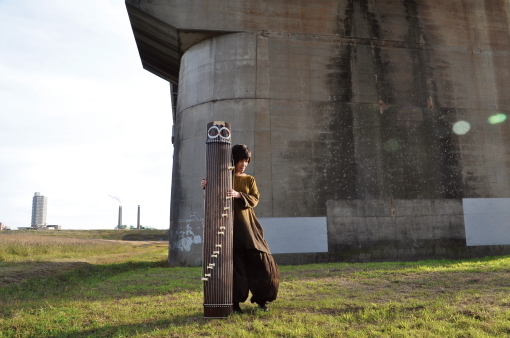 On this album, Japanese traditional music meets modernity and authenticity meets experimentation. Together with unique contributions from Itabashi Fumio (jazz piano), Sakata Akira (alto sax and voice) and other supporting musicians, Takezawa – focusing on koto and jiuta – pushed the album to another level. Four of the six tracks were composed by Takezawa herself, with the others by Takahashi Yuji and Kondo Tatsuo. 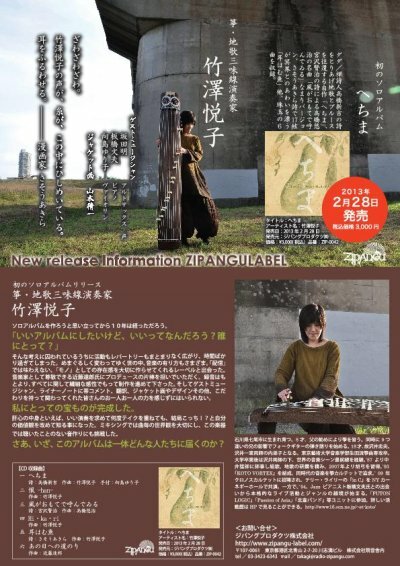 Works by Japanese dadaist/zen poet Takahashi Shinkichi and poet/author Miyazawa Kenji are also recited.